“A hurried sale process will be damaging to the estates and deprive creditors of value that may be realized through higher and better offers,” Gregg Galardi, a Fisker attorney, said in court papers filed today in Wilmington, Delaware. Fisker, based in Anaheim, California, also said today it would file an “emergency motion” challenging a so-called debtor-in-possession loan, and didn’t provide details. Fisker is seeking an extension of the bid deadline, auction date and related dates and deadlines in the bidding procedures request by at least 30 days, court papers show. D.J. “Jan” Baker, a lawyer representing A123, didn’t immediately return a phone call seeking comment. A123, the recipient of a $249 million federal grant, said it would sell its automotive-business assets to Milwaukee-based Johnson Controls Inc. (JCI) in a deal valued at $125 million. The deal is subject to other potential offers in a bankruptcy auction. A123, based in Waltham, Massachusetts, listed assets of $459.8 million and debt of $376 million as of Aug. 31 in Chapter 11 documents. A123, which is scheduled to return to court next week to seek approval of the remainder of a $72.5 million loan, intends to file court papers seeking interim approval of a replacement debtor-in-possession facility from Wanxiang America Corp., according to court documents filed today. The company on Oct. 18 won interim court approval to borrow as much as $15.5 million in DIP financing from Johnson Controls. The auto company said it doesn’t oppose the need for an asset sale, just “various protections” for Johnson “that are unnecessary, excessive, and counterproductive to a successful sales process,” including a possible $7.75 million breakup fee and expense reimbursement. The proposed procedures and protections were “crafted” for the benefit of Johnson Controls, Galardi said. “The best interests of the estates, however, are not well served through a hasty and unfair sale process designed to ensure that JCI is the ultimate purchaser,” he said. 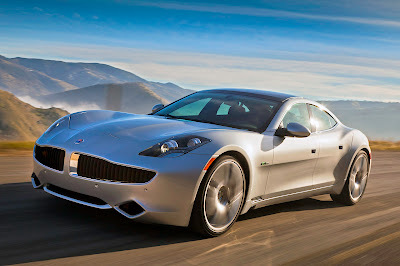 In January 2010, A123 and Fisker signed a multiyear supply agreement for Fisker’s Karma plug-in hybrid electric luxury car. A123’s obligations under the supply accord, including warranty obligations, “give rise to substantial unsecured claims” in favor of Fisker that may exceed a total of $100 million, according to court papers. In another objection today, patent owners including the University of Montreal asked a judge to consider the value of their exclusively licensed patents for lithium battery technology and the rights of A123 to keep or transfer them in the sale. Johnson Controls plans to acquire A123’s automotive business assets, including its facilities in Livonia and Romulus, Michigan. The Milwaukee-based company also will obtain A123’s cathode powder plant in China and its equity interest in Shanghai Advanced Traction Battery Systems Co., A123’s joint venture with Shanghai Automotive Industry Corp.
“The term ‘Auto Business’ is not only vague but misleading,” Massachusetts Clean Energy Center’s attorney Michael Barrie said in court papers. The proposed bidding procedures “do not limit the bidding to the purchased assets but permit bidding on any other assets” of A123, Barrie said. Massachusetts Clean Energy Center, created by the Green Jobs Act of 2008, wants the court to make A123 amend certain documents “so that they reasonably identify which assets are being sold and which leases are being assumed with sufficient particularity to allow MA-CEC to ascertain whether its collateral will be among the assets eligible for sale,” Barrie said. The Massachusetts Clean Energy Center provided A123 a $5 million secured loan in October 2010, court papers show. The agency would forgive and A123 wouldn’t need to repay the loan if certain employment and capital expenditures were met. Half of the loan would be forgiven if A123 creates 263 jobs in Massachusetts by the end of 2014 and maintains at least 513 jobs from January 2013 through Oct. 8, 2017, according to court documents. If the company doesn’t achieve those milestones they can get partial forgiveness analogous to the levels they do reach. The loan was amended in 2011 with the Center forgiving half after the battery-maker spent at least $12.5 million in infrastructure and leasehold improvements. The company still owes about $2.8 million in principal and interest. The case is In re A123 Systems Inc., 12-12859, U.S. Bankruptcy Court, District of Delaware (Wilmington).